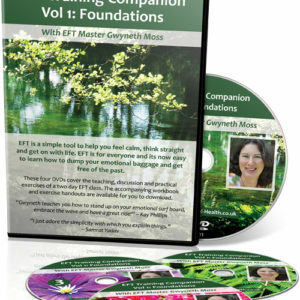 The original EFT Helps tapping dvds invite you to join Gwyneth and the EFT helps group of nine. Watch and tap along as each person transforms their often intense emotion through nine extraordinary full EFT sessions. 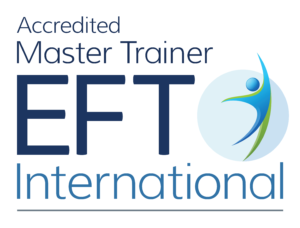 Superb for advanced EFT learning and for personal tap-along borrowing benefits. Plus an illuminating bonus interview with Gwyneth to gain insight into her technique. EFT Helps is ten DVDs in presentation case. Nine extraordinary EFT cases and a bonus interview with Gwyneth. Watching these profound and deeply moving tapping sessions you feel like you are there, that you are part of the group. Join us. Rosie has been happily married for many years and can’t understand why she feels such strong emotion about a teenage break up. 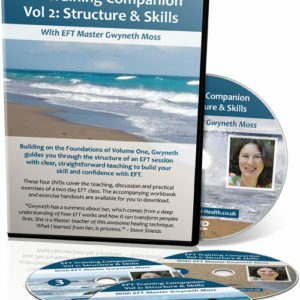 EFT helps her gain a new perspective on what is past and to fully appreciate what is now. Manuela has always felt unsafe with fear and uncertainty just below the surface. EFT helps her find clarity and to locate specific events where she felt abandoned. She begins to see that she can rely on herself. John has been suffering migraine and facial neuralgia. He uncovers an early memory of being bullied and a theme of injustice. EFT helps diffuse the memory and the neuralgia fades. Rosanna experiences intense fear if her daughter is even ten minutes late coming home. The root of this fear is in her own childhood. EFT helps Rosanna find a new perspective and gain confidence in herself and trust in her daughter. Gillian has coped bravely through the tragedies of family deaths and mental illness. Yet all she can see is her own failure. EFT helps her process intense emotions and to finally see herself as amazing. Sabina has difficulty with vision and particularly reading. EFT Protective Distancing helps to free her from trauma that she witnessed as a child. Sabina then has a calmer and clearer experience of reading.